The early summer potato crop is in, and no cookout is complete without a great potato salad. But when things heat up, sometimes I just want a light, simple potato dish that’s not mayonnaise-based. Matt and I were introduced to Bulgarian Potato Salad a few years ago at a summer party. Matt’s uncle married a beautiful woman from Bulgaria, and her equally stunning sister brought Bulgarian style potato salad to share with everyone at the summer cookout. It was strange at first. What, no egg? Where’s the creamy mayo, or mustard for that matter? Celery? Pickles? Nope, I see nothing. It was like the foreign exchange student of potato salads. Very cool, intriguing, understated, and worldly. Hanging out on the buffet table as if to say, “I’ve been places. I’m super cultured. I have the souvenir buttons all over my backpack to prove it.” Or something like that. I have only made potato salad one way in my lifetime, and mine is a very distant cousin of this version. But it was sooooo good, despite its simplicity. Or perhaps because of its simplicity! If you’ve never had Bulgarian Potato Salad, you’ll be a little surprised at the bare bones nature of the dish. Trust me though, it’s the perfect side for any BBQ! For starters, you can leave it out on the table and go about your business enjoying the good company without worrying about crafting the perfect ice bath to prevent mayo spoilage. (I usually bring warm dishes to pass just so I don’t have to mess with those.) Second, it doesn’t seem to weigh your stomach down like creamy, mayo-based potato salads. It has a refreshing, summery, light flavor that is sure to please. Matt is a master with herbs and other seasonings, and recently perfected a recipe for this simple dish. He rarely follows recipes, and usually eyeballs ingredients when measuring them out. The last time he made this salad I was convinced it could not get any better, and made him write down the recipe before he forgot. The secret? He kicked it up a notch with the addition of fresh herbs we’re growing out back. It made all the difference. Wash, peel (optional – we leave skins on), and dice potatoes into uniform bite-sized pieces. (I find this is easier than waiting for whole potatoes to cool or chopping burning hot potatoes.) Boil potatoes until you can stick a fork through pieces with little resistance. Drain, put into a large bowl, and leave to cool. In a smaller mixing bowl, wisk together the chopped onion, EVOO, ACV, lemon juice, dill, cilantro, and a little salt and pepper. Pour over potatoes and mix gently. 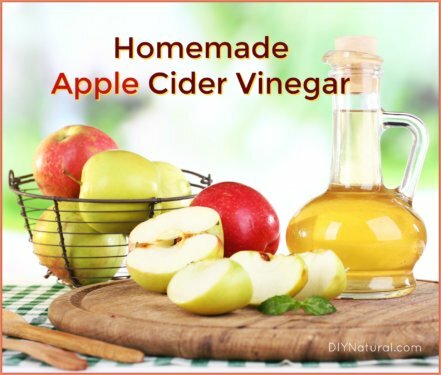 Taste and add more salt, pepper, lemon juice, vinegar, oil, or herbs if needed. Gently mix and serve (chill before serving if desired). We’re always looking for ways to reduce our time in the kitchen during the hot months. Potato salad is a staple in our refrigerator in the summertime. We make large batches we can eat off for days. We love having it on hand to throw in a picnic, put on the table alongside grilled entrees, or eat with crackers and fruit for a fast lunch. 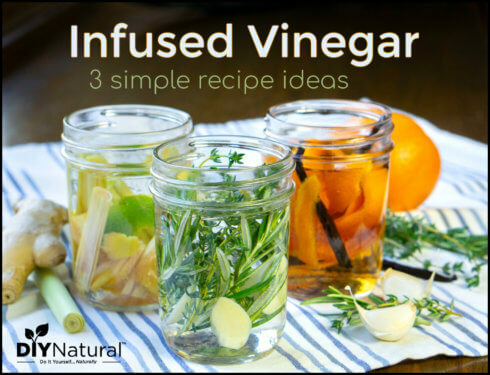 Have fun with this recipe by adding anything else your tastebuds desire! I’m sure there are other summer herbs that would compliment this light potato salad. Why not try something new this summer? Have you ever had Bulgarian Potato Salad, what do you add to your recipe? Haha! I just read the Bulgarian girl’s comment. I lived there for 4 years and when I read the cilantro I knew that was a twist. This is a delicious and simple potato salad. I just made this for tonight’s salad and it is REALLY good! Thanks so much for sharing this recipe! 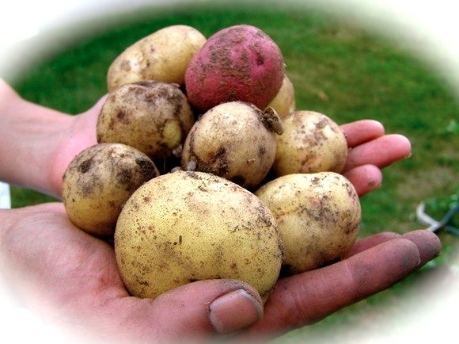 We’ve just picked our first new potatoes from the garden today and will be trying your recipe today. Love the fresh herb additions. FYI, most cases of food borne illness where potato salad is suspect, it’s not the mayo that is the problem (almost all commercial mayos are actually shelf stable). However, potatoes and onions (esp raw onions) are very good at attracting airborne pathogens and bacteria, so you still need to pay attention to how long this dish sits out. I tried your potato salad and loved it. Then I enhanced it my way, by adding fresh chives, fresh sweet basil, and adding graded romanno cheese. That went over so well at the last bbq that I attended that I am adding it to a blog post title is “Cool Treats For Summer Heat”. This recipe sounds fantastic! I will be trying this potato salad this weekend, thank you for sharing! Your blog is so inspiring 🙂 — My husband and I try our best to be environmentally conscious in everything we do and your blog helps guide us along the way. Thanks for all your DIY solutions! Awesome Norma, one project at a time and before you know it you’re the one inspiring others! Hahaha, it was very funny to read the title of this post… on an American blog I mean. 🙂 I am Bulgarian living in the Netherlands and was quite nicely surprised to see this familiar recipe on your website. This is indeed a typical Bulgarian salad and I love it, the cilantro is a variation, but I am definitely going to try it. Thank you! P.S. I am following you for a while and I love, love, love your environmentally friendly ideas! Especially now I converted 95% to bio and eco. Thank you! Glad to know it looks authentic Laura (aside from our addition of cilantro). Our Bulgarian relatives agreed too and they’re so happy we like the recipes and are sharing it. Also, thanks so much for your kind words. Most oil and vinegar based potato salad is generally called German potato salad. Any way you make it is yummy! Huh, I always thought German Potato Salad was warm. The potato salad sounds great! I have been using dill in dishes calling for pickle relish for years. We like it so much better. 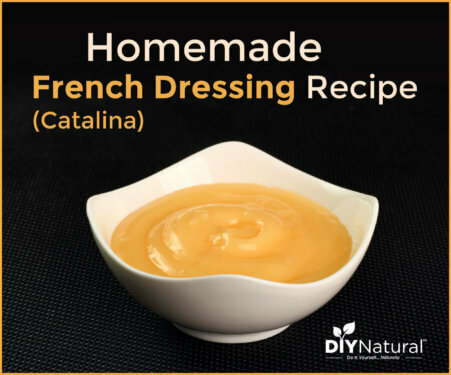 I use it in tarter sauce, tuna salad, potato salad and anything else that requires that great dill taste.